as seen on VH1 and Bravo. Weeds - The Complete Second Season: Everyone's talking about this ingenious Showtime dramedy, it's all about a suburban housewife who turns to selling pot to support her family after her husband dies. Weeds sports a superior cast and some of the best scripts anywhere and it's all staged with a sweetly sarcastic edge. Even the kid actors are good. 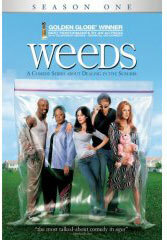 Both riotously funny and breathtakingly tense, Weeds is addictive! The Closer - The Complete Second Season: Critics are raving about this unusual crime drama about a Southern gal (Kyra Sedgwick) with the people skills of a predatory panther who joins the LAPD to solve their toughest crimes. This show also stars one of my favorites, J.K. Simmons (the nazi prick from Oz) as her boss. 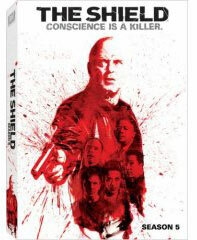 The Shield - The Fifth Season: If you haven't yet experienced The Shield, I can only tell you that you're missing out big time. I suggest you start with season one - you may find yourself hooked like I am, waiting impatiently for the next season's DVD release. It's a joyously wicked roller coaster ride of outrageous behavior so tightly directed, so finely written and acted that it's ultimately bullet proof. Kyle XY - Season 1: The best science fiction challenges the ordinary in ways that make you wonder. Kyle XY does just that in a stark manner, it's a fascinating enigma, a slowly unfolding thread revealing an intriguing pattern of emotional highs and lows that causes you to re-think what you know and gaze at everything fresh. This is one of my favorite TV experiences in a long, long time, superb in every way. A prime example of getting everything, every aspect of production, just right. I never believed anyone could pull off a super hero show for weekly television, it was a terribly ambitious concept. Can they hit that sweet spot again for season 2? What better way to watch Heroes than on DVD, when you can decide how much or how little you want at a time? I got hooked big time on Heroes and watched the whole thing over one weekend. Lovers of classic television, you're in luck. The studios are releasing entire seasons of your fave shows on DVD - and doing it at a frantic rate. How can you keep up with what's new on DVD? Afraid you're going to miss your favorite show when it FINALLY becomes available? TV on DVD collections right here! 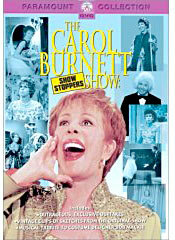 This was the show's last year and, regrettably, Kaye Ballard is gone while Billy De Wolfe is very rarely seen. Doris does gain an openly gay couple as her new neighbors which was very odd for the time, perhaps a first, though they were seen only once or twice and referred to thereafter. The empasis of the show shifted more to Doris' relationship with Peter (Peter Lawford). He's in almost every episode but then, toward the end of the season, a guy we've never seen before - who looks almost exactly like Peter Lawford - comes back into Doris' life and proposes to her and she accepts despite the hot and heavy thing she had going just a few weeks earlier. 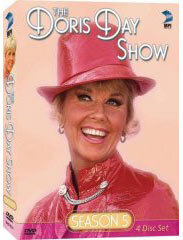 Read more about The Doris Day Show on DVD. 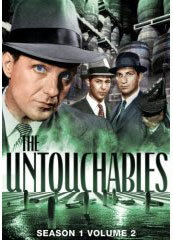 Read more about The Untouchables on DVD here. A show that has you rooting for a serial killer? If you try to explain this show to someone they'll look at you with a blank expression, it's all in the execution so to speak, and no TV drama has you clutching the chair like Dexter. This show just has to be seen to be believed, if you like chills and tense drama this is the one for you. There are few TV dramas that come close to the quality of Dexter, it's one of the best of all time - that makes this DVD collection one of the finest released all year, a must have. 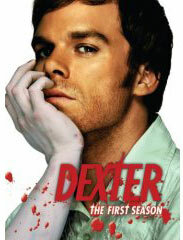 Read more about Dexter on DVD. 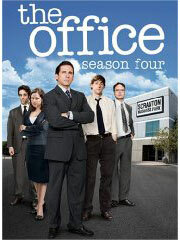 TV's funniest and most realistic sitcom, with one of the finest casts ever assembled, keeps getting better and better. No wonder, spoofing the world of Hollywood show biz is an ever flowing fountain for laughs. Plus, Jeremy Piven is a howl all by himself. Entourage will go down in history as one of the greatest sitcoms of all time. Read more about Entourage on DVD. It's a cliche to say that shows like this provided a template for white anglo saxon American families to live by in the 1950s but it's also the case that several generations have grown up with this program thanks to syndication in the 1960s & '70s and reruns on Nick At Nite in the 1980s & '90s. 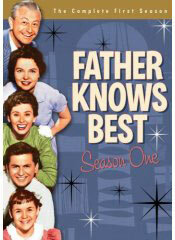 Read the entire review - Father Knows Best on DVD. "Are you havin' a laugh?" 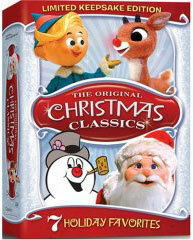 You darn sure will be when you pop this 2 disc set into the player. 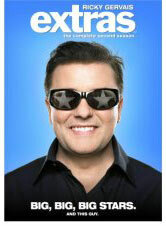 In the acclaimed HBO series Extras, Ricky Gervais stars as struggling working actor Andy Millman who can't seem to catch a break from the series of mishaps instigated by the incompetent, mendacious people he's surrounded by. This show is Gervais' follow-up to one of my all time favorite comedies The Office - the original British version, not the lame American knockoff. That's right, one of the greatest pop stars of all time had his own variety series for two seasons on ABC from 1969-71 and what a show it was! 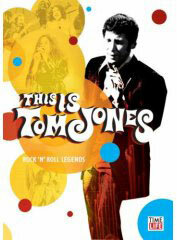 This new DVD collection of 8 episodes focuses on 'Rock 'n' Roll Legends' - it's an amazing array of performances not just from the dynamic Tom Jones but also the Tommy-era Who, The Moody Blues, Joe Cocker, Janis Joplin, Aretha Franklin, Stevie Wonder and many other sixties superstars. Not many singers have the chops to duet with the likes of Janis Joplin, Little Richard, Stevie Wonder, Aretha Franklin and Joe Cocker but Tom Jones handled it easily and with style. Sixties' rock enthusiasts will be especially pleased that these artists are captured at the peak of their majesty. The guest artist's solo spots are remarkable - Janis Joplin's heartbreaking 'Little Girl Blue' (one the finest performances she ever gave on film), The Who performing 'Pinball Wizard,' Joe Cocker doing 'Delta Lady' and 'My Baby Wrote Me A Letter,' Aretha Franklin's soulful rendition of 'Say A Little Prayer'... and on and on. It just doesn't get any better than this. Wow, I'm stunned, shocked. I stand corrected. Big time! When I watched the first season of the Americanized The Office I was sorely disappointed, it paled in comparison to the British original, felt forced and lacked the naturalness of the original. So I ignored it from then on, despite my friends telling me that it had actually gotten good over time. 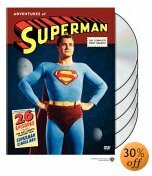 One of the longest-running and most beloved sitcoms returns to DVD with another 'best of' collection and it's a sweet, nostalgic time capsule of times gone by. Personally, I enjoyed Ozzie & Harriet more when the focus was not on the kids, especially TV's first manufactured pop star Ricky, but I suppose I'm in the minority in that. This is not laugh out loud funny stuff, it's more of a heartwarming, family affair. Heartwarming and weird - it's difficult to fit Ozzie & Harriet's world into a modern context. Folks just ain't like that anymore. That's the charm of the series, sure, but the people who inhabit this TV land act in the most bizarre ways. This was a time when parents were proud that their kids were part of the gang. Would you think twice if a 50 year old neighbor came to play upstairs alone with your 8 year old son? As a parent would you take a 60 minute ride on the back of a motorcycle to buy a toy, candy and flowers? Do you encounter many polite high school boys preoccupied with studying, listening intently to whatever adults have to say? The soda shop down the street, teens in high waist trousers and sport coats, kids who say "swell," "gee," and call their dad "pop" - this is the America the Nelson family preserved in their shows and that alone makes this program so wonderful and so oddball. I literally got chills up my spine when I held this DVD set in my hands, The Wire is absolutely my favorite TV drama of all time, I just finished watching all 3 seasons for a second time this fall and I've been greatly anticipating season 4. Though there are major plot treads that interweave and evolve through the years, each season of The Wire focuses in on a different segment of Baltimore's appalling underbelly. This year they zoom in on an inner city middle school to focus on the kids that get lured into gangs and the drug trade. This is no cheap plot device, show co-creator and writer Ed Burns started out as a public school teacher in Baltimore. No wonder Entertainment Weekly called this season, "dazzling... a staggering achievement." 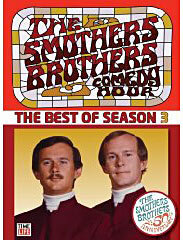 Read more about The Smothers Brothers on DVD here. I finally get to see what Melrose Place was all about. This show was massively popular in Los Angeles in the early-mid 1990s, my friends were hooked on this show and would turn on Melrose Place when we were working late Wednesday nights to keep up with what was going on. Melrose Place is a campy pre-cursor to Desperate Housewives (both shows have Marcia Cross in the cast), a ridiculous cartoon drama with shallow, supercilious but otherwise lovely pinheads who happily spend the majority of their days and nights gleefully plotting everyone else's personal and professional demise. On Melrose Place the women are all peroxide blondes or redheads, the guys are well-groomed and everyone jumps in and out of bed with whoever's nearby; a blatantly incestuous group that rarely dates anyone outside the office or their small apartment conclave. 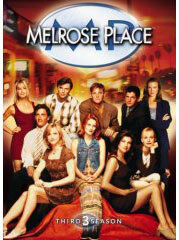 Read more about - Melrose Place here. Here's a surprise offering from MPI - two episodes of a show I wasn't familiar with called One Man Show. 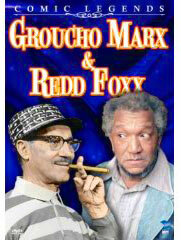 These programs star Redd Foxx in one and Groucho Marx in the other, both filmed around 1971. Redd was about to jump start his TV career with Sanford and Son and Groucho is seen here in one of his last major TV appearances. Groucho is only half "on" here, clearly out of his element; he hadn't been performing that much during the previous half decade before this hour long program was taped. Still, his wit shines though at various points and it's a joy to watch this master-past-his-prime at work. As a bonus on this disc you get Groucho's bits from one of his Hollywood Palace appearances in the mid-sixties and that's a glimpse at Groucho at his TV best. Poor Redd Foxx had to tone his nightclub act down quite a bit for TV but this is one of the rare opportunities to see this great comic at work on the stage where he made his mark - decade after decade - long before and after TV was done with him. I have fond memories of watching this show as a kid on The Bob Gordon Show, a local 4-6 hour Sunday afternoon rerun-fest with live drop ins by a genial fellow who introduced the various shows and created origami creatures from dollar bills. A Quinn Martin (The Untouchables) production, The Invaders is an unusual sci-fi show with relatively little of the gimmickry or far out plotlines that you'll find in Star Trek, Voyage to the Bottom of the Sea, or Lost in Space, all of which were on the air when The Invaders debuted in January of 1967. 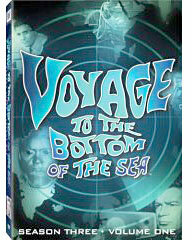 The series operates at a much slower pace, more akin to The Fugitive blended with Invasion of the Body Snatchers. The aliens here mostly serve as a metaphor for societal paranoia over commies, a repressive government, or whatever you like. It's a first rate program, with terrific guest stars and QM regular players who turn up in every pristinely directed episode. This production was part of the first wave of color TV shows so everything looks hyper realized, vibrant hues are juxtaposed with dark shadows and dramatic camera angles to lend an air of nightmarishness that perpetually hangs in the air. 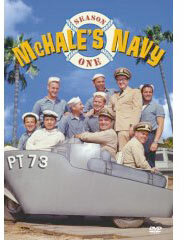 McHale's Navy's entire 1962-63 season is here in glorious black and white; all 36 half-hour episodes on 5 discs along with a bonus cast reunion filmed especially for the DVD. The stellar cast includes Ernest Borgnine, Tim Conway, Carl Ballantine, Gavin MacLeod, Joe Flynn and Bob Hastings among others and they are backed by some of the best writers and directors of TV's early days. 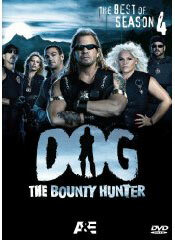 This was the one of a series of popular shows set in the military, a trend that started with the hilarious Sgt. Bilko in You'll Never Get Rich in the 1950s and continued through Hogan's Heroes, F-Troop & Gomer Pyle in the 1960s and M*A*S*H in the 1970s. Now I know what you're saying - Dallas?!? It's my guilty pleasure! I got hooked on the show in the 1980s when it began running in syndication and it's one of the funniest shows ever produced for TV. Campy, biting, bitchy, reflective of a by-gone era; it all emerges as frothy fun, the kind of mindless entertainment TV was meant for. The most popular show of the 1980s, Dallas is like a hot fudge sundae with too much whipped cream - but there are no cherries in sight here! These 6th season episodes start out with JR's cloddish nemesis Cliff Barnes in the hospital after a suicide attempt and old JR on the outs at Ewing Oil. This leads into a poolside wedding (if you've watched Dallas for any period of time you know what that means) and a Ewing BBQ that, of course, ends up in drunken disarray. 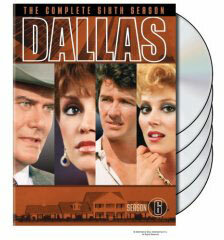 Read more about Dallas on DVD here. 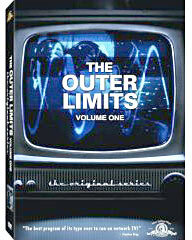 This is - I'm not kidding - the most exciting DVD product I've seen in a long time, maybe of all time. I can't think of another DVD collection I viewed all the way through, and then watched again at the very first opportunity. It's like a CD you want to play over and over. 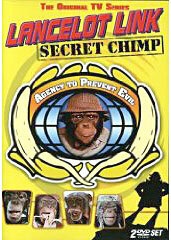 Read more about Hootenanny on DVD here. These two 15 chapter thrillers were produced at the tale end of the movie serial era - the production values are better than some of the earlier but more popular serials. 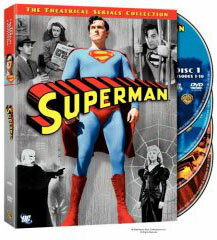 Keep in mind that the Superman character was a mere 10 years old at this point, this was the first live-action Superman the public had seen. 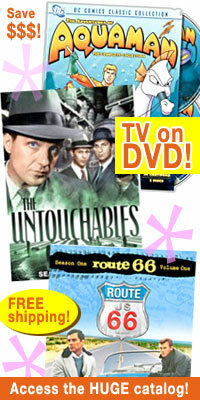 MORE NEW TV ON DVD REVIEWS HERE!